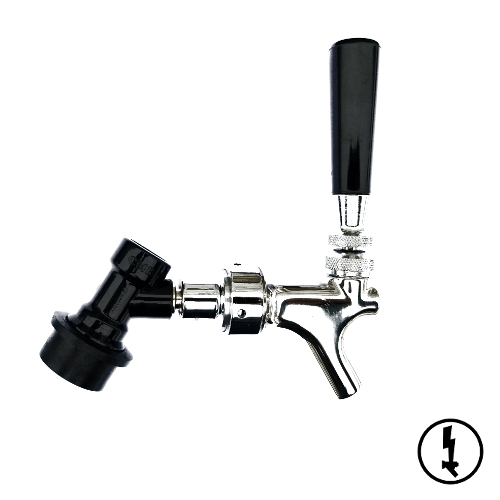 Cornelius style keg, made from 304 stainless steel, with adjustable CO2 pressure regulator, refillable CO2 tank, easy open top and endless possibilities. The perfect choice for convenient portability! 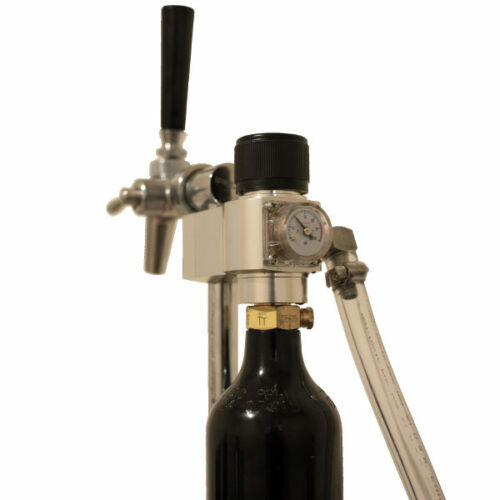 Refillable food-grade CO2 tank will dispense approximately 6 of the 2.5 gallon kegs on one fill. 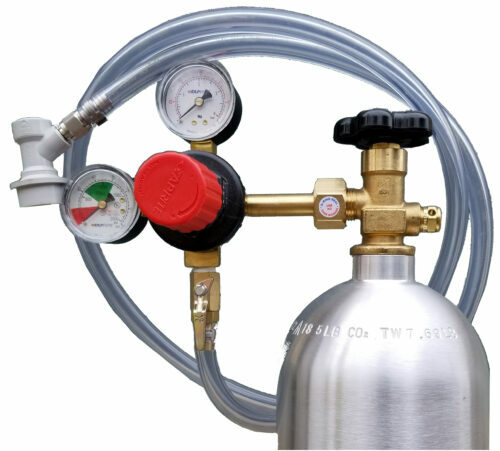 Cheap and easy to fill at your local bulk gas supplier. 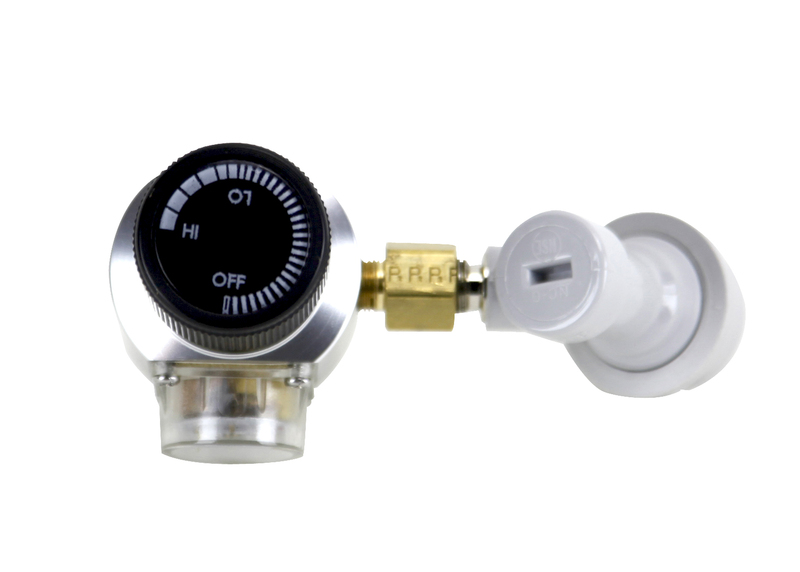 Note – Refillable CO2 tanks are shipped empty to comply with shipping safety protocols. 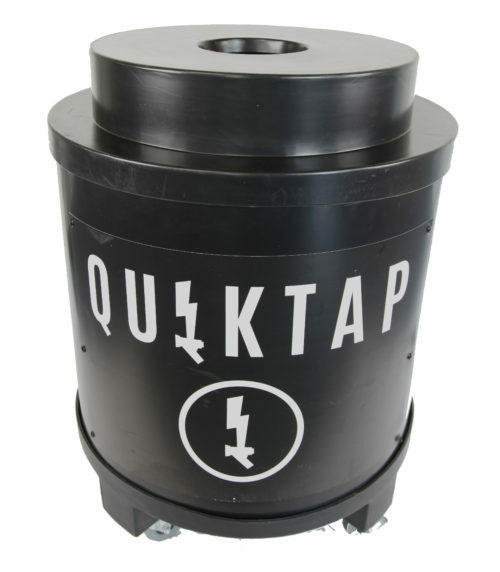 The QuikTap Tabletop Dispenser is our newest product for portable dispensing. 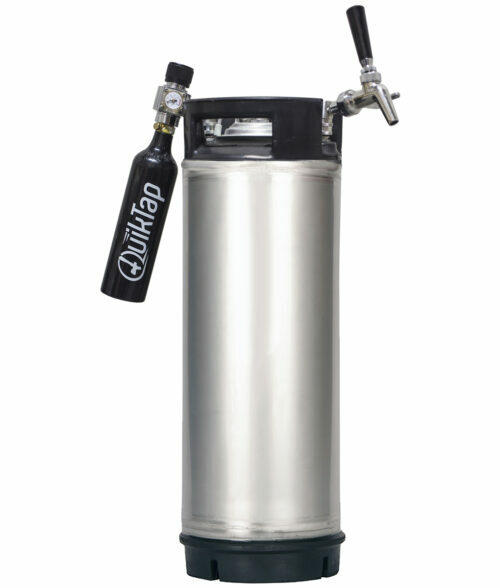 The 2.5 gallon, 304 stainless steel keg is perfect for batch cocktails, iced coffee, and of course beer! 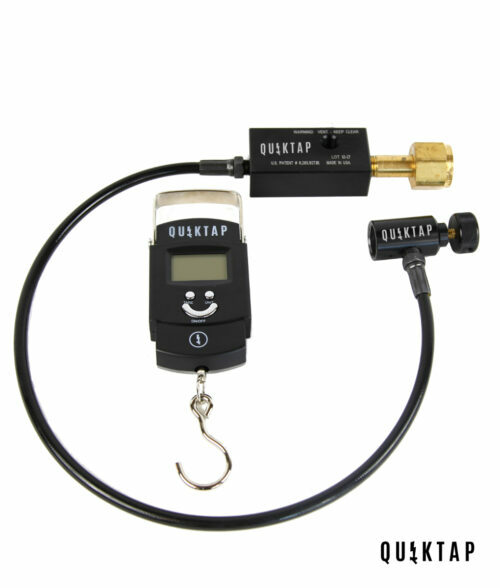 We are excited about the endless possibilities of this product for trade shows, demos, giveaways to valued customers, party rental, tailgating and the uniqueness to set your brand apart. We have the capability to have the polished stainless steel tanks laser marked with your logo/brand as well as a vinyl wrap with custom graphics. Call us at 855-784-5827 for pricing and details. 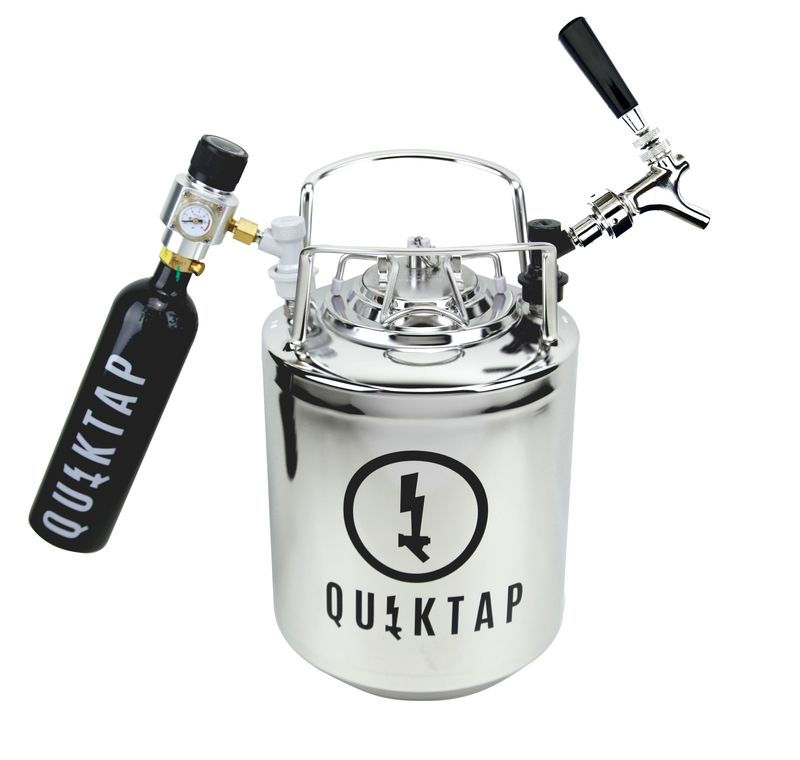 So here’s how it works: the polished stainless steel tank has a large, sealable lid on the top where you fill it with the goodness. Close the lid, dial the regulator to about 3-5 psi, pull the faucet forward, and let the FUN begin! If you accidentally over pressurize the tank, just pull up the pressure relief valve on the lid until it adjusts correctly. 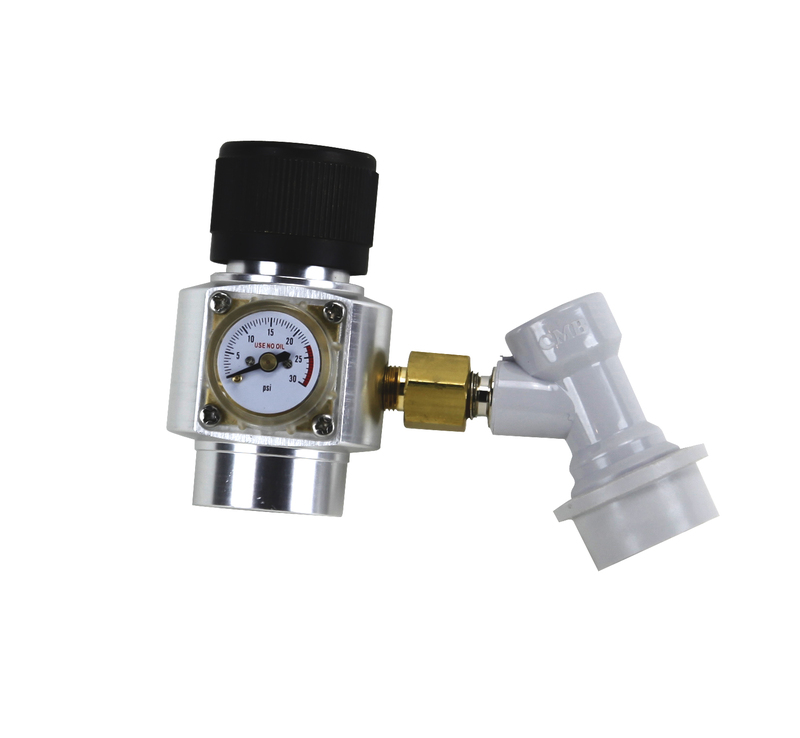 The refillable CO2 tank holds 12oz and will dispense 15 gallons so you will get quite a bit of use out of a single tank. 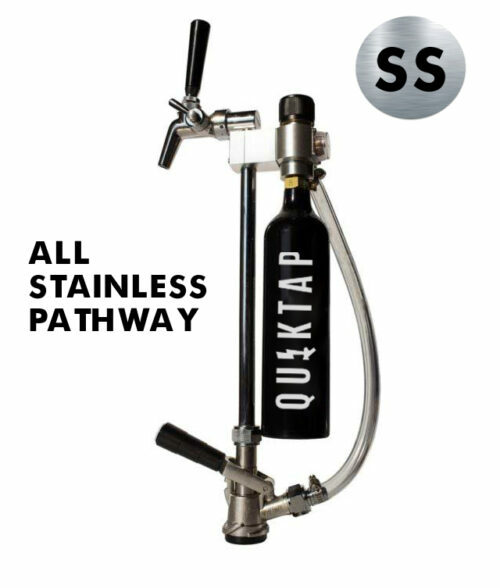 PRO TIP: Make sure you strain out fruit pulp or seeds from your favorite concoction prior to putting it in the QuikTap Tabletop Dispenser, as they can impede the performance of your dispenser!